Flammable materials can easily ignite when they come in contact with fire or high temperatures. That’s why if you handle flammable substances often in your line of business, it’s important to be very careful. Just by having flammable items in your building, you increase the chance of starting a fire. It can also increase the rate in which a fire spreads if one does occur. That’s why it’s so essential to know how to properly handle and store flammable substances to prevent the chance of a mishap. In this blog, we will highlight the top fire safety tips when dealing with flammable materials. This will help you to ensure your building is equipped to handle any potential fire hazards. Plus by arming your building with the proper fire protection systems, you could save lives and money if a fire occurs. Not all fires are the same, which is why there are different types of fire extinguishers. Fires that involve flammable substances are generally classified as Class B fires and they require a clean agent fire extinguisher to put them out. You’ll want to make sure you buy the right kind of fire extinguisher for flammable substances because if you use the wrong one it, it could add fuel to the fire rather than put it out. In order to properly protect your building, you should invest in high quality fire alarm and fire sprinkler systems. Once your building is fully protected, then you will be able to extinguish the fire and alert authorities before the fire spreads. This could potentially save lives and save you from costly fire damage and repair bills. 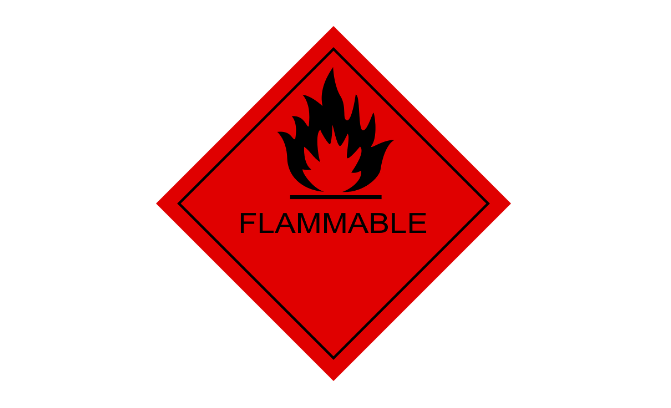 Make sure to store your flammable substances in a safe place in order to reduce the risk of potential fire hazards. The best place to keep your combustible materials is in a cool, dry area. Also make sure you don’t store multiple flammable substances together in a closet or cabinet because that could lead to a serious fire. Frontier Fire provides the top fire protection services throughout the Rocky Mountain area. We specialize in fire sprinkler, fire alarm and fire safety equipment for buildings. If you’re in need of fire protection for flammable materials, give us a call today.